Draft: 2010, Milwaukee Brewers, 9th rd. Yadiel (YAH-dee-el) Rivera... graduated from Maneula Toro High School in Puerto Rico. Had career highs in most major categories, including games (111), at-bats (139), runs scored (13), hits (24), and RBI (nine)...Made first career appearance in the outfield on April 2 vs. Boston, playing 2.0 innings in left field after entering the game as a pinch hitter. Appear at all three outfield spots during year, making nine appearances and three starts (two in left, one in center)...Recorded first career walk-off hit and RBI on May 1 vs. Philadelphia with a pinch-hit single in 10th inning...Had first career stolen base on June 11 vs. San Francisco...Had second walk-off on July 2 vs. Tampa Bay (single)...Had first career home run on July 7 at Washington...Had career-long six-game road hitting streak from June 23-July 22 (.353; 6x17, home run, RBI). Opened season with Triple-A Colorado Springs; had one stint with Milwaukee, from July 6-17...Appeared in just one game for Brewers, on July 6 at the Cubs, playing third base and going 0x2 off the bench...Appeared in 107 games for Sky Sox...Hit .333 (19x57) in 16 games in April, with three doubles, a triple, a home run, and five RBI. Fell to .204 (15x98) in 28 games in May, but with seven doubles, a home run, and 15 RBI...Had four straight multi-hit games during a season-long five-game hitting streak from April 16-21 (.500/10x20)...On 7-day disabled list from June 26-July 5; went 8x21 (.381) in four-game rehab assignment with Arizona League Brewers. Batted .212 with 0 HR and 3 RBI in 35 games with Milwaukee...Made 16 starts (8g at 2B, 4g at SS, 4g at 3B)...Made his first career Opening Day roster...Had four stints with the Brewers (Opening Day-5/11, 6/21-6/22, 7/8-7/16 and 9/4-end) ...Batted .227 with 2 HR and 41 RBI in 83 games at Triple-A Colorado Springs...Played for Mayaguez in the Puerto Rican Winter League (26g, .230, 0hr, 10rbi). Batted a combined .253 with 2 HR, 44 RBI and 12 stolen bases in 133 games between Double-A Biloxi (52g) and Triple-A Colorado Springs (81g)…Was recalled by Milwaukee on 9/22 from Biloxi…Appeared in 7 games with the Brewers, including 4 starts (2g at 2B, 2g at SS)…Made his Major League debut on 9/22 at Chicago-NL, entering the game at third base (0-for-2)…Recorded his first Major League hit on 9/24 at St. Louis with a single off Michael Wacha…Following the season played for the Surprise Saguaros in the Arizona Fall League and batted .315 (23-for-73) with 1 HR, 11 RBI and 7 stolen bases in 21 games.....was named to the league's Top Prospects Team and earned the Dernell Stenson Sportsmanship Award…Also played for Santurce in the Puerto Rican Winter League (22g, .158, 0hr, 3rbi). 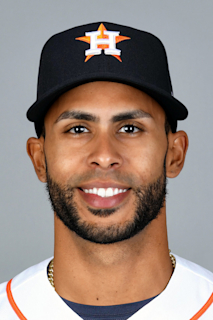 January 22, 2019 Miami Marlins invited non-roster 3B Yadiel Rivera to spring training. December 10, 2018 Miami Marlins sent 3B Yadiel Rivera outright to New Orleans Baby Cakes. November 29, 2018 3B Yadiel Rivera assigned to Criollos de Caguas. March 29, 2018 Miami Marlins selected the contract of 3B Yadiel Rivera from New Orleans Baby Cakes. February 8, 2018 3B Yadiel Rivera assigned to New Orleans Baby Cakes. January 5, 2018 3B Yadiel Rivera assigned to Indios de Mayaguez. January 5, 2018 3B Yadiel Rivera roster status changed by Indios de Mayaguez. November 27, 2017 Miami Marlins signed free agent 3B Yadiel Rivera to a minor league contract and invited him to spring training. November 6, 2017 3B Yadiel Rivera elected free agency. September 21, 2017 Milwaukee Brewers sent 3B Yadiel Rivera outright to Colorado Springs Sky Sox. September 15, 2017 Milwaukee Brewers designated 3B Yadiel Rivera for assignment. July 18, 2017 Milwaukee Brewers optioned SS Yadiel Rivera to Colorado Springs Sky Sox. July 6, 2017 Milwaukee Brewers recalled Yadiel Rivera from Colorado Springs Sky Sox. July 5, 2017 Colorado Springs Sky Sox activated SS Yadiel Rivera from the 7-day disabled list. June 30, 2017 Colorado Springs Sky Sox sent SS Yadiel Rivera on a rehab assignment to AZL Brewers. June 26, 2017 Colorado Springs Sky Sox placed SS Yadiel Rivera on the 7-day disabled list. March 22, 2017 Milwaukee Brewers optioned SS Yadiel Rivera to Colorado Springs Sky Sox. January 27, 2017 SS Yadiel Rivera assigned to Puerto Rico. October 14, 2016 SS Yadiel Rivera assigned to Indios de Mayaguez. October 14, 2016 Indios de Mayaguez activated SS Yadiel Rivera. September 4, 2016 Milwaukee Brewers recalled Yadiel Rivera from Colorado Springs Sky Sox. July 17, 2016 Milwaukee Brewers optioned SS Yadiel Rivera to Colorado Springs Sky Sox. July 8, 2016 Milwaukee Brewers recalled Yadiel Rivera from Colorado Springs Sky Sox. June 23, 2016 Milwaukee Brewers optioned SS Yadiel Rivera to Colorado Springs Sky Sox. June 21, 2016 Milwaukee Brewers recalled Yadiel Rivera from Colorado Springs Sky Sox. May 12, 2016 Milwaukee Brewers optioned SS Yadiel Rivera to Colorado Springs Sky Sox. January 30, 2016 SS Yadiel Rivera assigned to Puerto Rico. November 24, 2015 SS Yadiel Rivera assigned to Cangrejeros de Santurce. September 22, 2015 Milwaukee Brewers recalled Yadiel Rivera from Biloxi Shuckers. August 18, 2015 SS Yadiel Rivera assigned to Biloxi Shuckers from Colorado Springs Sky Sox. May 14, 2015 SS Yadiel Rivera assigned to Colorado Springs Sky Sox from Biloxi Shuckers. January 30, 2015 SS Yadiel Rivera assigned to Puerto Rico. November 20, 2014 Milwaukee Brewers selected the contract of Yadiel Rivera from Huntsville Stars. October 30, 2014 SS Yadiel Rivera assigned to Cangrejeros de Santurce. June 24, 2014 SS Yadiel Rivera assigned to Huntsville Stars from Brevard County Manatees. January 1, 2014 SS Yadiel Rivera assigned to Criollos de Caguas. December 3, 2013 SS Yadiel Rivera assigned to Cangrejeros de Santurce. November 30, 2013 Cangrejeros de Santurce activated SS Yadiel Rivera. March 30, 2013 SS Yadiel Rivera assigned to Brevard County Manatees from Wisconsin Timber Rattlers. February 24, 2013 SS Yadiel Rivera assigned to Milwaukee Brewers. April 2, 2012 Yadiel Rivera assigned to Wisconsin Timber Rattlers from Helena Brewers. March 25, 2012 SS Yadiel Rivera assigned to Milwaukee Brewers. June 14, 2011 Yadiel Rivera assigned to Helena Brewers from Wisconsin Timber Rattlers. May 9, 2011 Yadiel Rivera assigned to Wisconsin Timber Rattlers from AZL Brewers. February 28, 2011 SS Yadiel Rivera assigned to Milwaukee Brewers. June 21, 2010 Yadiel Rivera assigned to AZL Brewers from Milwaukee Brewers. June 16, 2010 Milwaukee Brewers signed SS Yadiel Rivera.